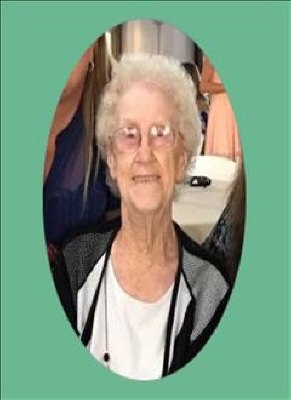 Jessie Lorain Tindall, 87, passed on to be with her Lord and Savior April 11, 2019. Funeral service will be 10:00 AM, Monday at Abilene Funeral Home Chapel of Hope with Rev. Chris Turner officiating. Burial will follow at Necessity Cemetery at 12:30 PM, directed by Abilene Funeral Home. Mrs. Tindall was born July 21, 1931, in Davilla, Tx to Norman and Kathryn "Gertrude" Sanders. Mrs. Tindall was preceded in death by both her parents, her loving husband Sam Tindall, three children: Kathryn Ellen Tindall, Lee Etheridge Tindall, and Louis Jay Tindall, and eleven of her siblings. Left to cherish her memories are her sons: Jimmy and wife Debbie Tindall, David and wife Jaime Tindall, Sammie and wife Shelia Tindall, Gary Tindall, and Ronnie Tindall all of Abilene. She also leaves behind eight grandchildren and six great grandchildren. Pallbearers will be Casey Tindall, Kelly Tindall, Brian Tindall, Evan Tindall, Brandon Tindall, Levi Tindall, and Stephanie Tindall McCarty. The family will receive friends at a visitation from 9:00 AM - 10:00 AM, Monday, April 15th, 2019 at Abilene Funeral Home Chapel of Hope. To send flowers or a remembrance gift to the family of Jessie Lorain Tindall, please visit our Tribute Store. "Email Address" would like to share the life celebration of Jessie Lorain Tindall. Click on the "link" to go to share a favorite memory or leave a condolence message for the family.